Plans are guiding documents cities, counties, schools and regional agencies use to guide future actions through goals, policies, strategies and maps. Scroll down for a brief description of each and then proceed to each topic’s individual page. Some school districts in California have developed a district strategic plan that identifies district goals, lays out strategies to achieve these goals and ultimately drives district budgeting and decision-making. These plans cover a period of about five years and are approved by the district board of education. A safe routes to school plan is a blueprint for a local or regional strategy to make walking and bicycling to and from school safer and a more attractive travel choice for families. A school or school district can use a safe routes to school plan to initiate support for broader adoption of these important routes into general plans or regional transportation plans. A safe routes to school plan includes strategies to support local communities in establishing new safe routes to school programs as well as sustaining and enhancing existing efforts. A safe routes to school plan will also ensure that tools and resources are focused in areas across the region with the greatest need for assistance. The California Board of Education recognizes that a first step toward safer schools is the development of a comprehensive plan for school safety (see California Education Code Section 35294.1 et seq.). Effective school safety plans are developed cooperatively by parents (guardians), students, teachers, administrators, counselors and community agencies, including local law enforcement. The local school district governing board approves school safety plans. Schools and school districts can develop school travel plans to encourage safe, efficient and sustainable travel to and from school. Individual goals within school travel plans may include reducing car trips, increasing active transportation and making active transportation safer. Some school travel plans involve the gathering and use of data. School travel plans can help prioritize needs for Safe Routes to School programs. Each public school in California is required (California Education Code Section 64001) to select a representative school site council composed of parents, teachers, administration and students in secondary schools. The site council is charged with developing a single plan for student achievement (SPSA). The single plan for student achievement identifies goals and establishes a school budget based on those goals. A bicycle plan (or bicycle master plan) is a document that describes a local agency’s long range plans for bicycle infrastructure and programs. The plan emphasizes designating and expanding bicycle routes, fostering a safe environment for bicycling and promoting bicycling as a viable transportation option. Bicycle plans are often combined with pedestrian plans. Many cities, counties, states and other groups are voluntarily adopting climate action plans that lay out strategies to reduce greenhouse gases and foster sustainability within a jurisdiction. Climate action plans build upon the information gathered by greenhouse gas inventories and generally focus on those activities that can achieve the greatest emission reductions in the most cost effective manner. The general plan is a guiding document developed by local governments that puts forth a vision for future development. It helps inform local land use decisions and policies in a manner consistent with a community’s values. All cities and counties in California are required to create and routinely update a general plan. California law requires that general plans address seven elements: (1) land use, (2) circulation, (3) housing, (4) conservation, (5) open space, (6) noise and (7) safety. 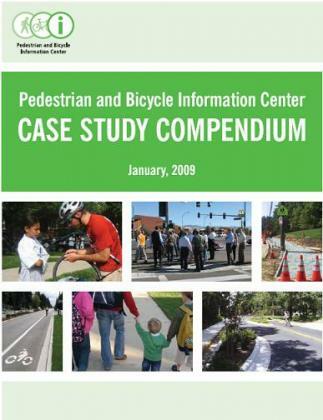 Similar to bicycle plans, a pedestrian plan is a document that describes a local agency’s long range plans for pedestrian infrastructure and related programs. These plans supplement the general plan and include goals and map out priority projects. A specific plan is a tool to help implement the general plan. A city or county may prepare a specific plan for an area within its jurisdiction to provide a greater level of detail than is typically included in the general plan. A trail plan should help identify the general location of trail corridors, agencies that will be involved in developing and administering the trails, potential trail funding sources, trail layout and design and trail use. Local governments use capital improvement plans to identify funding allocations and specific capital projects in the near term (four to 10 year span). Capital improvement plans are often adopted around the same time as annual municipal budgets and are therefore closely aligned with what the municipality’s priorities are and what it will be able to fund in the coming year(s). A regional transportation improvement program is a listing of all transportation projects proposed by a metropolitan planning organization. Metropolitan planning organizations prepare both regional transportation plans and sustainable communities strategies, both of which are tied together by state law. Regional transportation plans describe how transportation revenues across the region will be spent over the next 25 years and the sustainable communities strategy explains how a region will integrate land use, housing and transportation planning to meet its greenhouse gas reduction targets set by the California Air Resources Board. In the past few decades, the design of California streets has largely been driven by motorist concerns and level of service standards. Complete streets are streets that are designed to accommodate all potential users – bicyclists, drivers, transit riders and pedestrians of all ages and abilities. Typical elements of complete streets include traffic calming to reduce speeds, urban greening, and bicyclist and pedestrian-oriented infrastructure. The concept of “smart growth” means building urban, suburban and rural communities with housing and transportation choices near jobs, shops and schools. This approach supports local economies while protecting the environment and creating safer, more connected communities.